The life of George Warren Cross Trezevant very much parallels that of his older brother, James Peter Trezevant. George Trezevant was born in Charleston, South Carolina, on July 7, 1820. His father, John Farquhar Trezevant, was the oldest surviving son of Peter Trezevant (1768-1854) and his wife, Elizabeth Willoughby Farquhar (1772-1845). In 1813 John Farquhar Trezevant married Margaret Pepper Gignilliat, from another prominent South Carolina family. It is likely that the couple lived in the expanded house of John’s parents, Peter and Elizabeth, at 5 Stoll’s Alley in Charleston, where John and Margaret’s six children were born. One died in infancy and George was the youngest of the remaining five. He was named after his father’s first cousin and law partner, George Warren Cross (1783-1836). His father John was a lawyer in Charleston, who died at age twenty-nine of “bilious fever.” When he died in 1821, leaving five living children, his son George was only one year old. John’s widow, Margaret, and the children remained in Charleston for a year. Then Margaret and the five children went to live with her younger brother at the Gignilliat plantation Contentment in McIntosh County, Georgia. She sent George’s two older brothers, Charles and James, to say with their uncle, Daniel Heyward Trezevant, M.D. (1796-1862), in Columbia, South Carolina. The older boys stayed in Columbia with their uncle until 1824 and were then sent to boarding school in Darien, Georgia, where Margaret would move with George and his sisters about 1826. During this time the Trezevant family’s fortunes changed dramatically. In 1826 Elizabeth Farquhar Trezevant, George’s grandmother, inherited a large sum of money at the death of her uncle, John Farquhar (1751-1826), a Scotsman who lived in London. With her huge inheritance she and her husband Peter moved to England with their younger unmarried children. From England they continuously sent gifts and money to their married children in the States, including their widowed daughter-in-law, Margaret, and her children. With that money Margaret could send her younger children to school (the Academy in Darien) and (in the case of Charles and James) to prep school in Columbia and to South Carolina College there. I don’t know much about the years before George Trezevant settled in Louisiana as an adult. He may have attended college in South Carolina or Georgia, and he eventually became a medical doctor. In 1840 his older brother James had moved from New Orleans to Hinds County, Mississippi, at age twenty-four. James married, had three sons, and lived there for the next twelve years. 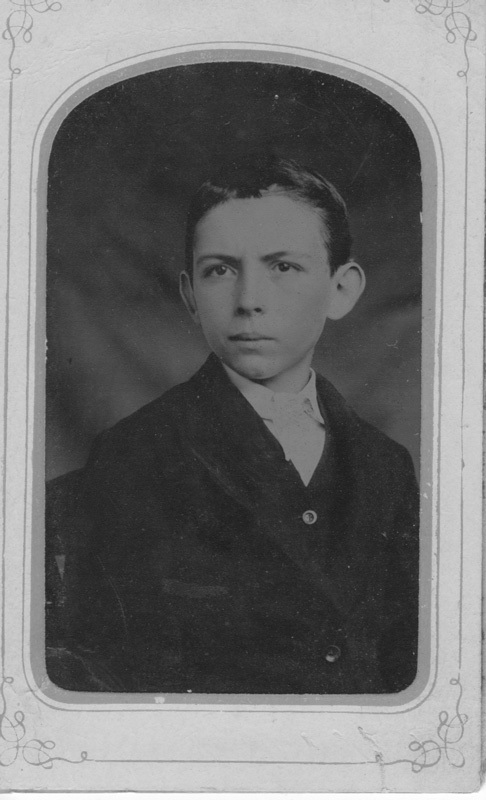 Perhaps George joined his brother in Mississippi at about age twenty. His wife, Mary Briscoe was from Indiana, and they married in 1846 when George was twenty-six. 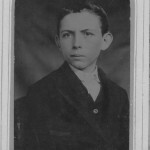 At least the first of their seven children, Norman W. Trezevant (1846-1886) was born in Mississippi. We know that James Trezevant, at age thirty-seven, moved with his family to northern Louisiana in 1852. They settled in Deerfield in the original Carroll Parish. The town later became Delhi in Richland Parish. George would then be thirty-two. I simply do not know which brother went to the Delhi area first or whether they went at the same time. James Peter Trezevant died in 1860, just three weeks short of his forty-fifth birthday. George was about forty years old. 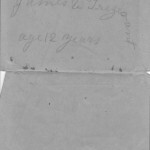 James did not live to be involved in the Civil War, but George enlisted as an assistant surgeon in the Confederate army. He was commissioned in Company S of the General and Staff Regiment. George W. C. Trezevant practiced medicine in the Delhi area until his death at age seventy-three on August 28, 1893. His wife, Mary Briscoe Trezevant had died earlier, at age sixty on April 24, 1885. They were both buried in Delhi’s Masonic cemetery. NOTE: Charlotte Gignilliat Trezevant was the daughter of John Farquhar Trezevant (1791-1821) and Margaret Pepper Gignilliat (1791-1862) and an older sister of George Warren Cross Trezevant. She married her cousin Norman Page Gignilliat (1809-1871): Hence the name Charlotte (Gignilliat) Trezevant Gignilliat. NOTE: Margaret Gignilliat Holmes was the daughter of Charlotte Trezevant Gignilliat and Norman Page Gignilliat and was a niece of George Warren Cross Trezevant.